Advantages of Vinyl – Precision Vinyl Systems, Inc.
Vinyl fencing among other fencing materials is quickly becoming the product of choice for homeowners looking for a long lasting solution. Vinyl fencing combines strength, beauty, and durability that lasts a lifetime. Your fence is installed beautiful and stays beautiful. Not only does vinyl fence look beautiful, it never needs panting and heightens property value. With so many styles to choose from, you can pick just the right style and color to suit your outdoor decor. A lifetime limited warranty assures your satisfaction and protects your investment. These are just a few examples why Precision vinyl fencing is clearly the sensible choice for fencing applications. We hope you find our site informative and useful. Feel free to browse our products and submit a quote request so we can assist you with your vinyl fencing projects. 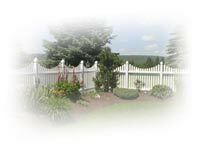 Precision Vinyl Systems, Inc. is a factory direct dealer of maintenance free vinyl fencing products. We look forward to the opportunity of quoting your fence or railing project.